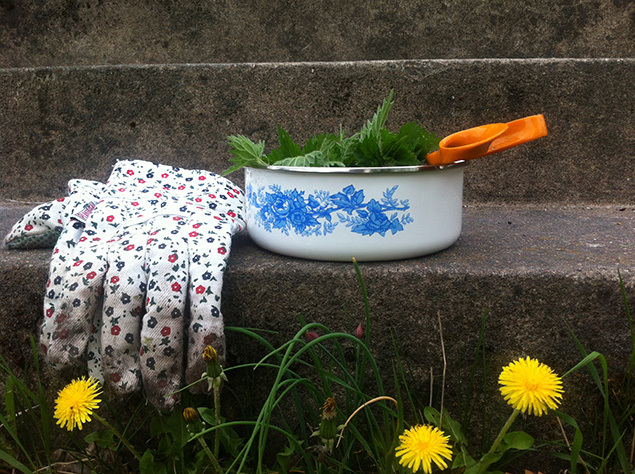 I set out to pick some nettles in the countryside garden! 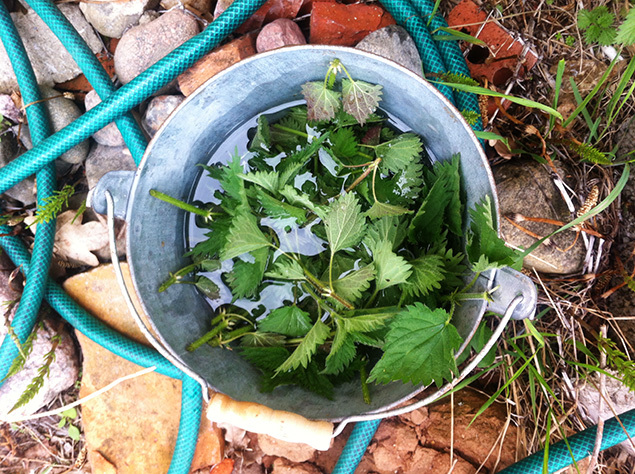 I've intended to pick nettles to use in cooking forever - as most of you probably know the nettle is a very healthy plant, although it is considered a weed and not a utility plant - but always missed out on doing so at the right time of year. 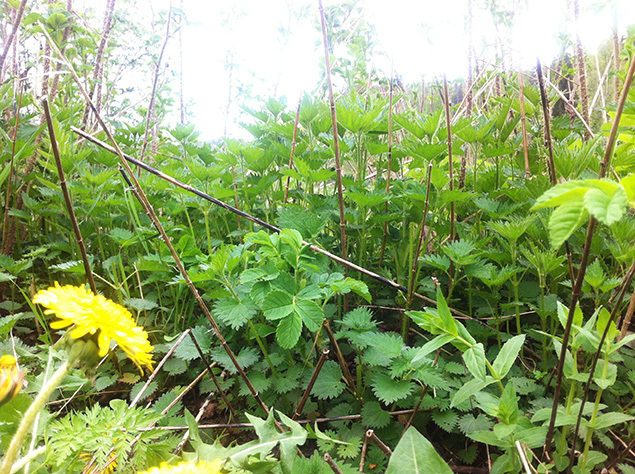 Nettles should be picked when they carry new and fresh leave buds. I used only the top leaves of the plant. The rest of the plants I lay to soak in water; nettle-water makes a great natural fertilizer for you garden. 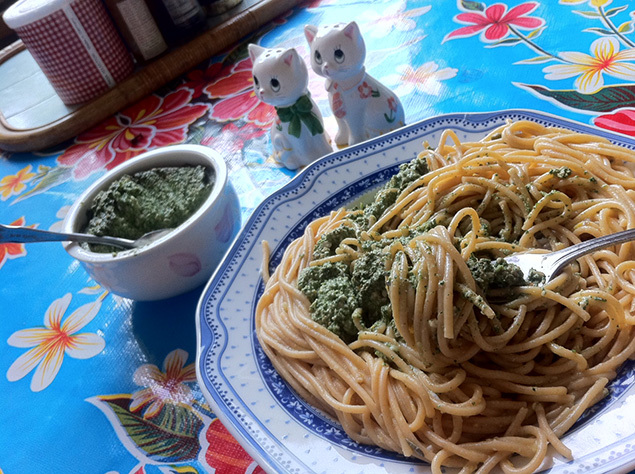 I made pesto of my nettles. 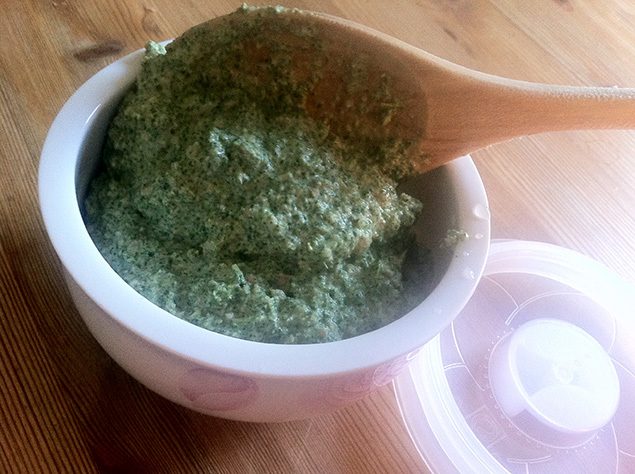 After parbloiling the nettles I mixed them with what you'd more or less use for your regular basil pesto too; I made mine with sunflower seeds, a few almonds, garlic and of course olive oil. Gave it all a go in the mixer and put in a jar. And had it with pasta and zucchini later in the evening. The nettle pesto is a rather milde in taste so I threw in some capers and sundried tomato nibs too to top it of. Noms. We can not get video links at work but I am assuming the link is to Salad Fingers.... ha! 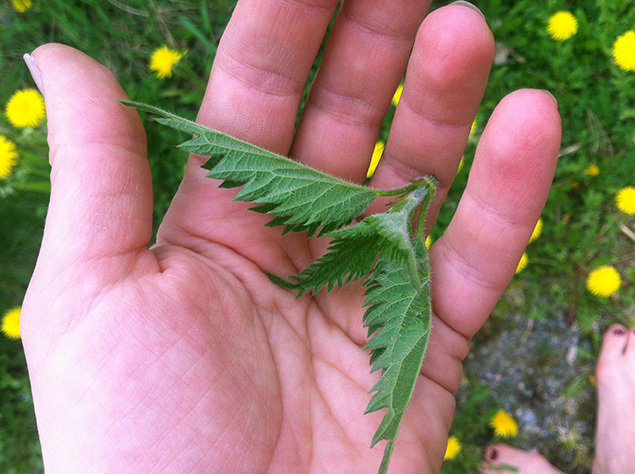 I too- will forever associate nettles with Mr.Salad Fingers. I had never heard of Mr. Salad Fingers! 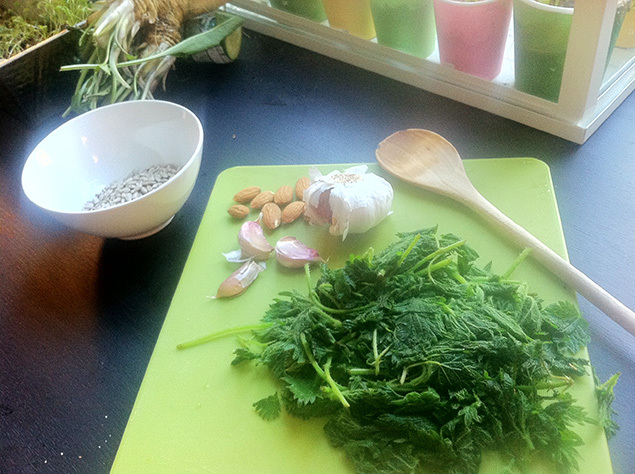 We used to have nettle soup when I was growing up. It tasted quite bland. But this pesto looks amazing! I picked nettles last weekend, too! I dried them to use in everything (basically) during the rest of the year.